delving into e-learning and are coming up with more questions than answers, this guide is the high-level overview you've been looking for. 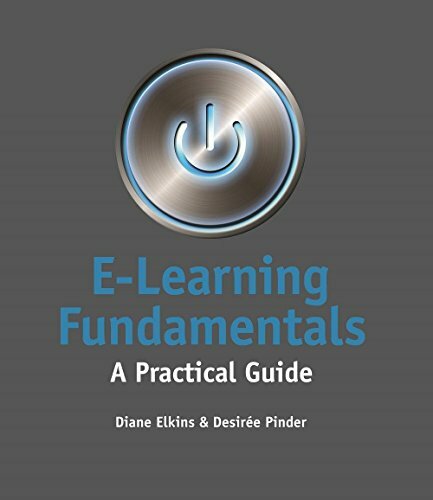 In this book, e-learning development experts and educators Diane Elkins and Desirée Pinder deliver a comprehensive examination of the e-learning process from the ground up.E-Learning Fundamentals provides the base of knowledge necessary to tackle everything from early concepts of e-learning down to its execution. Throughout, you'll find vignettes that bring concepts to life as well as checklists and practical tools for designing and developing your first e-learning course.In this book you will:• dive into the basics of e-learning design and development• explore the e-learning course design and development process?from analysis through evaluation• learn to write and storyboard a course, construct test questions, choose media, put the course together, and establish a thorough review process.